Although primitive naval blockades had been in use for millennia, the first successful attempts at establishing a full naval blockade were made by Admiral of the Fleet Edward Hawke during the Seven Years' War (1754–1763). Following the British naval victory at Quiberon Bay, which ended any immediate threat of a major invasion of the British Isles, the British implemented a tight economic blockade on the French coast. This began to starve French ports of commerce, further weakening France's economy. 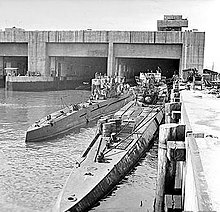 Hawke took command of the blockading fleet off Brest and extended the blockade of the French coast from Dunkirk to Marseilles. The British were able to take advantage of the Navy's position to develop plans for amphibious landings on the coast. 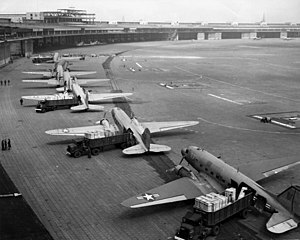 However, these plans were eventually abandoned, due to the formidable logistical challenge this would have posed. Julian Corbett and Admiral Mahan emphasized that naval operations were chiefly to be won by decisive battles and blockade. Until 1827, blockades, as part of economic warfare, were always a part of a war. This changed when France, Russia and Britain came to the aid of the Greek rebels against Turkey. They blockaded the Turkish-occupied coast, which led to the battle of Navarino. War was never declared, however, so it is considered the first pacific — i.e. peaceful — blockade. The first truly pacific blockade, involving no shooting at all, was the British blockade of the Republic of New Granada in 1837, established to compel New Granada to release an imprisoned British consul. 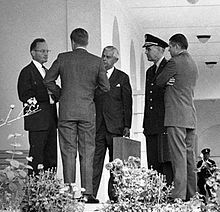 Whether or not a blockade was seen as lawful depended on the laws of the nations whose trade was influenced by the blockade. The Brazilian blockade of Río de la Plata in 1826 during the Cisplatine War, for instance, was considered lawful according to British law but unlawful according to French and American law. The latter two countries announced they would actively defend their ships against Brazilian blockaders, while Britain was forced to steer for a peaceful solution between Brazil and Argentina. 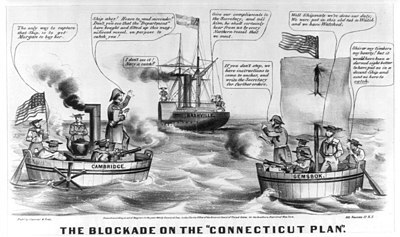 A blockade tends to be a long campaign requiring a long-term commitment by the blockading power. The Atlantic U-boat campaign of World War I and Battle of the Atlantic were essentially about German blockades, and lasted nearly as long as their respective wars. The Imperial Japanese Navy, however, made only sporadic efforts at blockade during the Pacific war, preferring to seek victory by fleet action. Chisholm, Hugh, ed. (1911). "Blockade" . Encyclopædia Britannica (11th ed.). Cambridge University Press. ^ Richard Harding (2002). Seapower and Naval Warfare, 1650–1830. Routledge. Retrieved 7 February 2013. ^ Vego, Dr. Milan (2009). "Naval Classical Thinkers and Operational Art". Naval War College: 4. Archived from the original on 31 January 2017. Retrieved 12 December 2016. ^ Reynolds, Clark G. 1998. "Navies in History", p. 98. ISBN 1-55750-715-5. ^ Oppenheim, L. & Roxburgh, Ronald. 2005. "International Law: A Treatise", p. 53. ISBN 1-58477-609-9. ^ Encyclopædia Britannica, 11th edition. 1911. "Pacific Blockade", vol. 20, p. 433-434. ^ D'Amato, Anthony A. 1995. "International Law and Political Reality: Collected Papers", p. 138. ISBN 90-411-0036-9. ^ Sondhaus, Lawrence. 2004. "Navies in Modern World History", p. 98. ISBN 1-86189-202-0.